On Wednesday, Mark Zuckerberg faced some tougher questions from the House than he did in yesterday’s Senate hearing. And one GOP Congressman decided to throw Zuck a bone by bringing up his original sin: Facemash. Mark didn’t seem happy. Today’s hearing has shown a stronger divide in the line of questioning coming from each party. As Facebook CEO Mark Zuckerberg faces intense public scrutiny about privacy, security, and election interference, House members on the Republican side have devoted a lot of time to stress that they don’t like regulations. 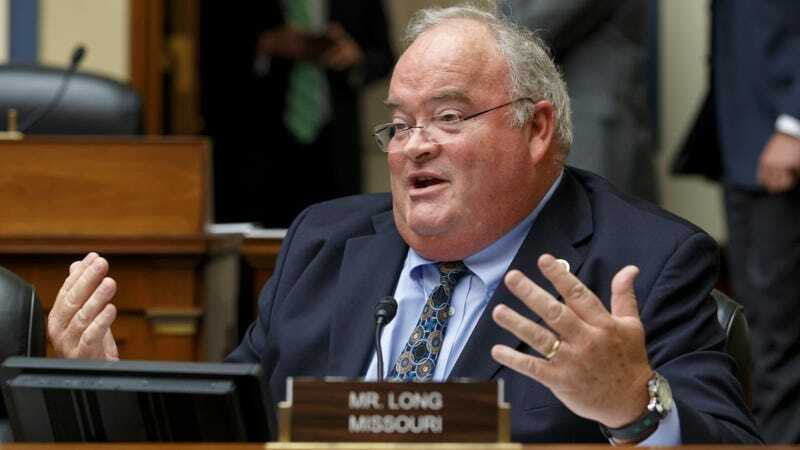 Missouri Representative Billy Long attempted to paint an example of why regulations would be bad for innovation and seemed to give Zuck a little tough-love advice. I hope you understand, this is not how I meant for things to go, and I apologize for any harm done as a result of my neglect to consider how quickly the site would spread and its consequences thereafter...I definitely see how my intentions could be seen in the wrong light. But from that beginning, whether it was actually the beginning of Facebook or not, you’ve come a long way. If I was you, a little bit of advice — Congress is good at two things: doing nothing and overreacting. So far, we’ve done nothing on Facebook since your inception in that Harvard dorm room, many years ago. We’ve done nothing on Facebook. We’re getting ready to overreact, so just take that as a shot across the bow warning to you. Before Zuckerberg could react any further, Long launched into a diatribe about conservative commentators Diamond and Silk getting their Facebook page suspended. It’s hard to say if Long’s point was lost in this Facemash reminder. He was telling Zuckerberg that his business has become an enormous entity with little competition or restriction on what it can collect on its users. He was saying that it rapidly found itself in that position because legislators never stepped in to make any judgments about how Facebook could be harmful to individuals, society, and the business community. And he was saying that Zuckerberg should make some quick changes so that no authorities ever stop to consider those things. If nothing else, Long made it clear that people like him would inevitably screw up whatever regulations they end up cobbling together.